Be an innovator in the supply chain space. 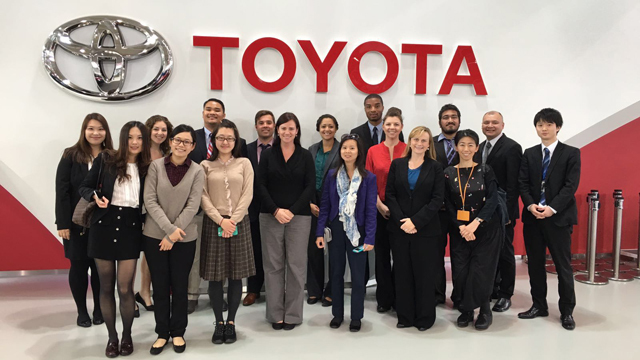 With a master's in supply chain management, you will do more than just learn about the latest best practices. A case-based curriculum with simulations will improve your existing skills in negotiations, cost management and sustainability. Simultaneously, you will get the chance to help improve your own organization's supply chain for class credit. Our flexible online format means you can learn at your own pace and still work regular hours. You will be able to immediately apply every new innovative strategy you learn directly to your job. While our classes are web-based, you will still get face-to-face time with faculty and classmates during our five on-campus interactive sessions. 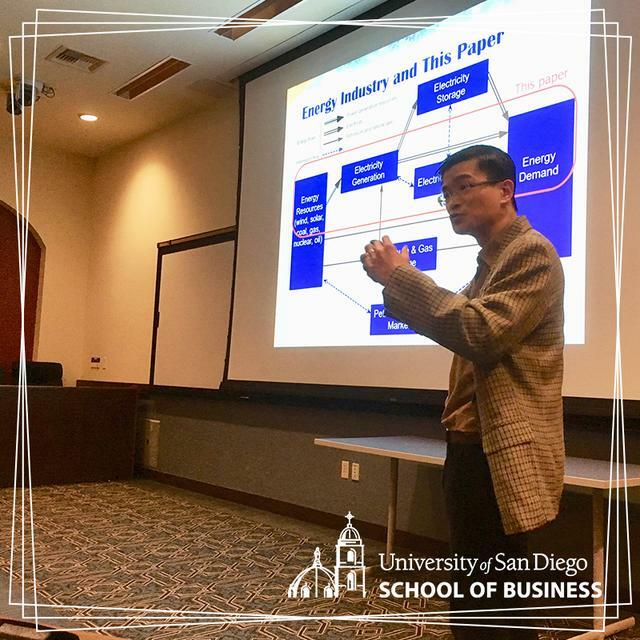 While you are in business school, you will have access to our Supply Chain Management Institute, where you can further your professional development by attending workshops that expose you to the latest trends in areas such as transportation strategies, strategic sourcing and risk management. 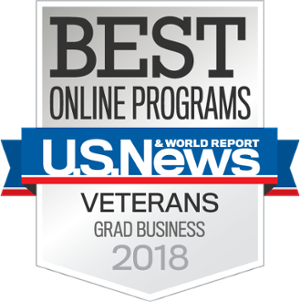 Top 20 for Online Graduate Business Programs. 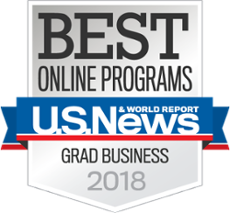 U.S. News ranks our Master’s in Supply Chain Management degree in the top 20 for best online graduate programs. In our 2018 Alumni survey, 96% of respondents said they would recommend the program to others. 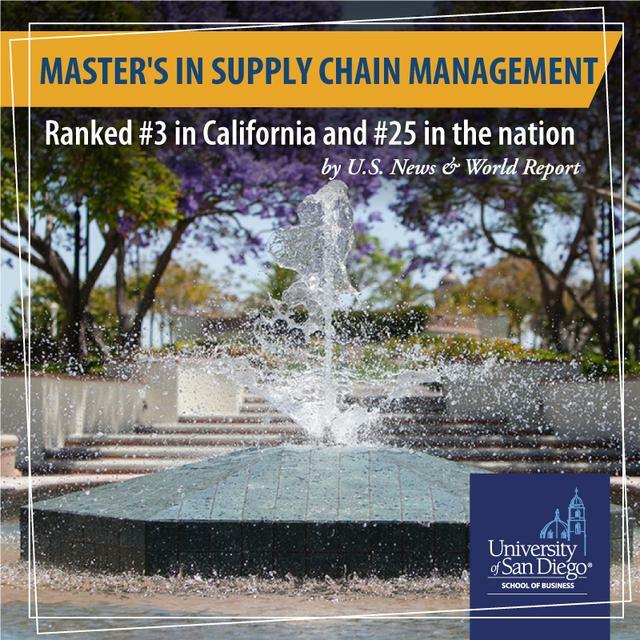 Our ISM-approved master's in supply chain management program is the first U.S. degree accredited by the Chartered Institute for Purchasing and Supply (CIPS). 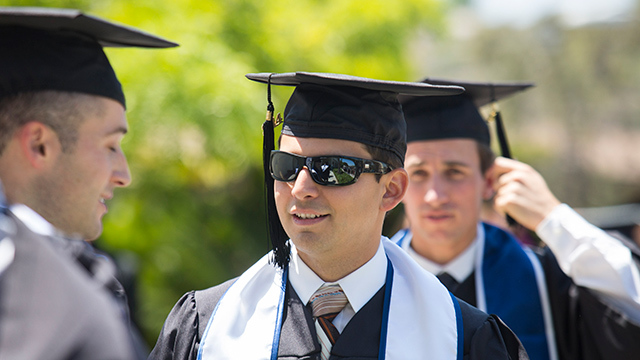 You're just steps away from developing world-class supply chain skills. From new skills and opportunities to long lasting connections, the value of your degree can last a lifetime. Learn about our competitively priced tuition. Career logistics. 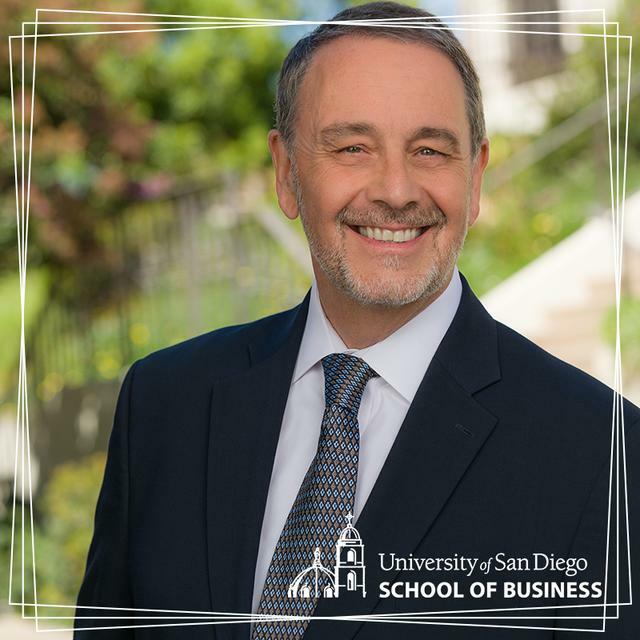 With a supply chain management master's degree, you will possess advanced skills that will help you take your organization to world-class supply chain status and enable you to advance to higher levels of management within your organization. Expand your supply chain acumen. 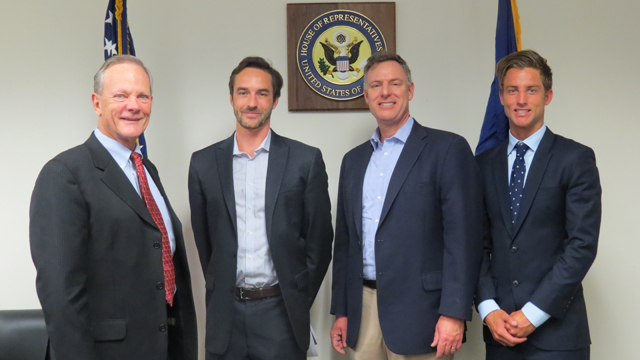 Attend peer workshops and conferences where renowned companies such as Starbucks, Walmart and Cymer discuss their supply chain strategies and offer tips on best practices. Hold higher standards for yourself—and your company. 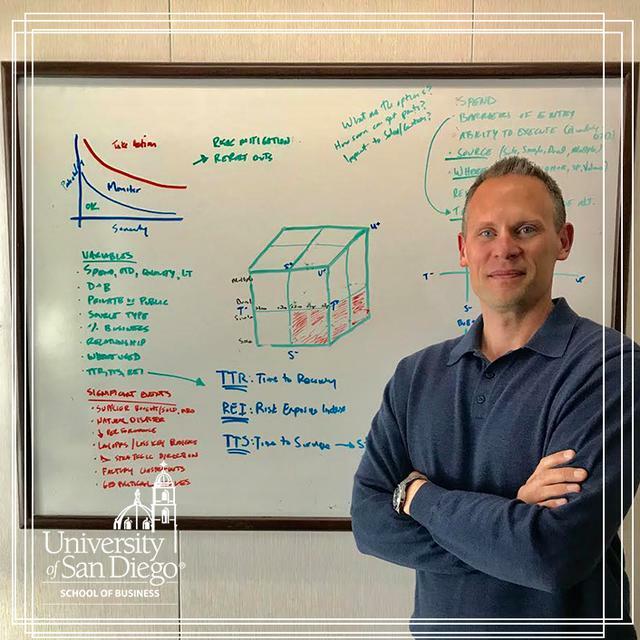 With a Master’s in Supply Chain Management from USD, you will graduate as an agent of ethical change able to identify gaps in your organization's processes and make sustainable recommendations. Important information regarding USD's use of your information under GDPR can be found here.